How Enphase micro-inverters help us to design a better solar panel array. Solar panels generate DC (direct current). A solar inverter is needed to convert DC into AC (alternating current). This then powers your electrical appliances. Inverters also allow us to switch off all electrical current in the case of a blackout or if repair is needed. 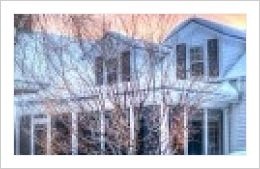 String inverters vs. Enphase micro-inverters. A central (string) inverter would normally cover an entire residential and small commercial solar system. Enphase micro-inverters, however, sit on the back of each and every solar panel. A system is only as reliable as its weakest link. The string inverter is the weakest link in any DC optimiser system. If problems, such as shading or debris, affect the solar panels, the output of the whole system is reduced. This is because the string of panels acts as if it were a single larger panel. The current rating is, therefore, equivalent to the poorest performer in the string. For example, if one panel in a string suffers a 4% performance loss due to shading, the entire string suffers a 4% loss of performance, even if no other panels are affected. Enphase micro-inverters, as they sit at the back of each solar panel, reduce the complexity of a system. They make the system easier to design and install. Shading, debris or snow on any one solar module, does not disproportionately reduce the solar output of the entire array. Each Enphase micro-inverter maximises its power output for every connected module. The design of your solar panel array is simplified. Increased flexibility of design is ensured; this helps Coretech Solar design an aesthetically pleasing solar panel system for your property, and..
Increase flexibility allows us to design a system with maximum power output for your requirements. In independent studies Enphase produced up to 3.1% more energy. No limit to the size of your solar panel system. String inverters usually require a minimum system size of 8 panels. Increased safety due to lower voltage (never exceeds 60v). * What many solar panel installation providers do not tell you, is that inverters have a limited life. In string inverters this is usually covered for 10-12 years. 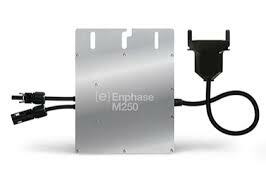 Enphase micro-inverters are covered by a 20 year warranty. This reduces the cost of replacing your inverters.